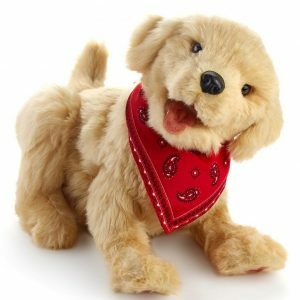 Companion Pets look, feel and sound like real cats and dogs. 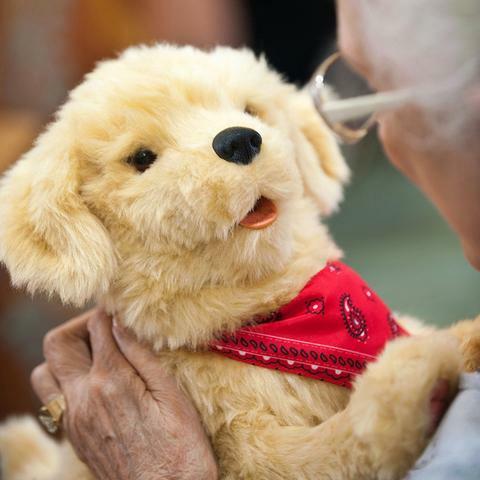 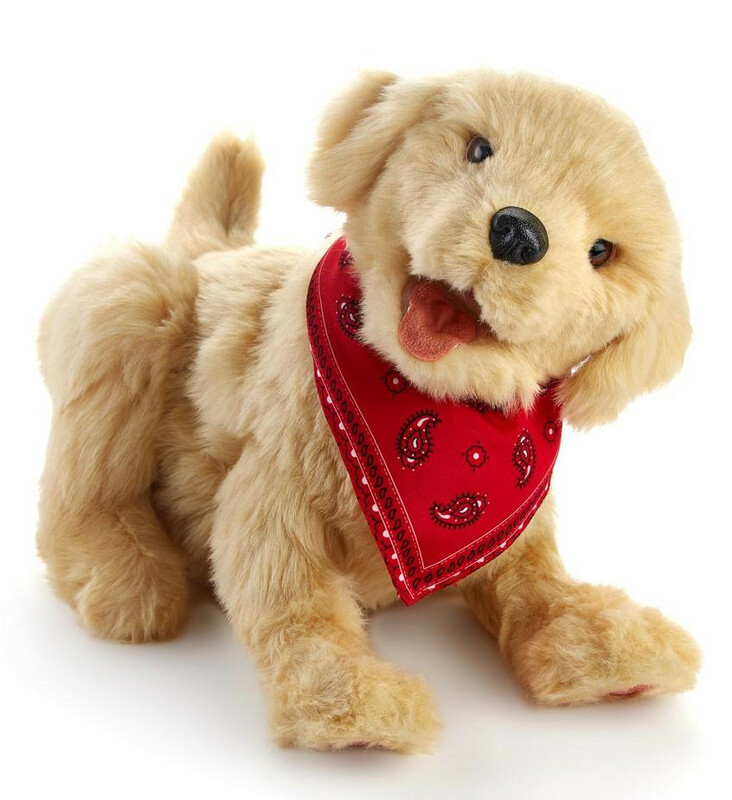 With built-in sensors and speakers the Companion Pet Golden Pup can recreate some of the more delightful moments of owning a dog including being a best friend for aging loved ones. 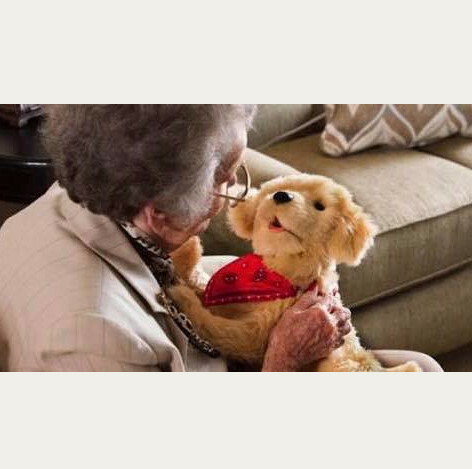 The two-way interaction helps create a personally rich experience that can bring fun, joy and friendship to the person living with dementia who loves animals.